How many years have you been on a volunteer surf patrol lifesaver for? This is my second season on patrol, I was on patrol last year. 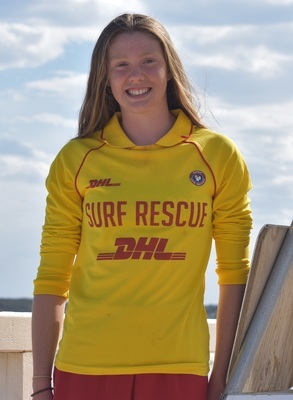 What did you want to become a volunteer surf lifesaver? I thought it would be fun to help the community and contribute. What is your favourite thing about being on volunteer surf patrol at the Ocean Grove Surf Life Saving Club? Just like spending time at the beach and meeting all the people that are there. Do have any superstitions before you complete a shift as surf patrol lifesaver? If it is going to be hot I make sure pack sunscreen and then if it is going to be cold I pack a woolly jumper and trackies. I will always bring one or two drink bottles (water) so I can stay hydrated and I like to check out the conditions and see if it is clear before I arrive for my shift.